Giveaway Timing: Groovy Lab in a Box One Year Giveaway begins May 24, 2016 at 9 AM PSD and ends midnight PSD on June 30, 2016 (the “Giveaway Period”). The Giveaway is open only to legal residents of the 50 United States and the District of Columbia, and Canada, who are 18 years of age or older as of the date of entry. All federal, state and local laws and regulations apply. There is NO PURCHASE NECESSARY to participate in the Giveaway. A purchase does not increase your chances of winning. During the Giveaway Period, you may access the Giveaway by visiting http://woobox.com/34gm6n. Winner will be selected in a random drawing on or about July 10th, 2016 from among all eligible entries received. Drawing will be conducted by the Sponsor, whose decisions are final on all matters relating to the Giveaway. Odds of winning a prize are dependent upon the number of eligible entries received. All prizes will be awarded and winners will be notified by e-mail/mail. Sponsor will attempt to notify potential winners within 7 business days after selection via e-mail. 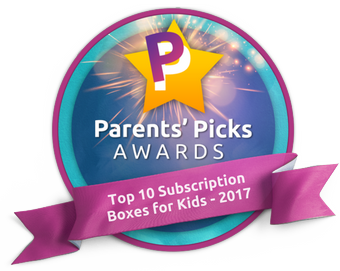 Grand Prize (1) 12-Month Subscription to Groovy Lab in a Box (ARV: $247.50). Prizes are awarded “as is” with no warranty or guarantee, either express or implied by Sponsor. Winners are responsible for all federal, state, and local taxes and all other costs and expenses associated with prize not specified herein as being awarded. No transfer, substitution or cash equivalent permitted by winner. A winner is responsible for paying any costs and expenses not specified above, including, but not limited to, costs for unspecified meals, transportation other than airfare, insurance, and other incidentals. Sponsor reserves the right to substitute a prize (or component thereof) with another prize (or component thereof) of equal or greater value if the prize is not available for any reason, as determined by Sponsor in its sole discretion. All prize details are at Sponsor’s discretion. By participating in the Giveaway, entrants agree to be bound by these Official Rules and the decisions of the Administrator. Winners may be required to execute and return an Affidavit of Eligibility, Release of Liability and where legal, a Publicity Release, within 10 days of notification attempt or the prize will be forfeited and an alternate winner selected. Return of any prize/prize notification will result in disqualification and an alternate will be selected. Acceptance of prize constitutes permission for the Sponsor and its agencies to use winners’ name and/or likeness for purposes of advertising and trade without further compensation, including a winners list, unless prohibited by law. In the event there is a discrepancy or inconsistency between disclosures or other statements contained in any Giveaway materials and the terms and conditions of the Official Rules, the Official Rules shall prevail, govern and control. Entries become the property of the Sponsor. The Sponsor and its agencies are not responsible for technical, hardware, software or telephone malfunctions of any kind, lost or unavailable network connections, or failed, incorrect, incomplete, inaccurate, garbled or delayed electronic communications caused by the user or by any of the equipment or programming associated with or utilized in the Giveaway or by any human error which may occur in the processing of the entries in the Giveaway or for any liability for damage to any computer system resulting from participation in, accessing or downloading information in connection with the Giveaway. In the event of a dispute as to any entry, the authorized account holder of the account used to register will be deemed to be the entrant. Winners may be required to show proof of being the authorized account holder of the account associated with the entry. Sponsor (as identified in these Official Rules) are not responsible for the failure of any email or entry to be received by Sponsor on account of technical problems or congestion on the internet or at any website. The Sponsor reserves the right at its sole discretion to disqualify any individual that tampers or attempts to tamper with the entry process or the operation of the Giveaway; violates the Official Rules; or acts in an unsportsmanlike or disruptive manner, or with intent to annoy, abuse, threaten or harass any other person. Any attempt by any person to deliberately undermine the legitimate operation of the Giveaway may be a violation of criminal and civil law, and, should such an attempt be made, Sponsor reserves the right to seek damages from any such person to the fullest extent permitted by law. Sponsor’s failure to enforce any term of these Official Rules shall not constitute a waiver of that provision. If, for any reason, the Giveaway is not capable of running as planned, including infection by computer virus, bugs, tampering, unauthorized intervention, fraud, technical failures, or any other causes beyond the control of the Sponsor which corrupt or affect the administration, security, fairness, integrity or proper conduct of the Giveaway, then the Sponsor reserves the right at its sole discretion to cancel the Giveaway and select the applicable winners in a random drawing from among all eligible entries received prior to cancellation. By participating in the Giveaway, the entrant agrees that Sponsor, their respective parents, subsidiaries, affiliated companies, agents, retailers, advertising and Giveaway agencies, and all of their respective shareholders, officers, directors, employees and assigns, members, representatives and agents, will have no liability whatsoever for, and will be held harmless by entrant for any liability for any bodily injury, loss, cost or damages of any kind to persons, including death and property, damages sustained due in whole or in part, directly or indirectly, from entry creation, the acceptance, possession, use or misuse of the prize or parts thereof, if applicable or participation in the Giveaway or participation in any Giveaway or related activity. By entering the Giveaway, you hereby represent and warrant that you have read these Official Rules and are fully familiar with its contents. BY ENTERING THE Giveaway, YOU AGREE THAT: (1) ANY AND ALL DISPUTES, CLAIMS AND CAUSES OF ACTION ARISING OUT OF OR CONNECTED WITH THE CAMPAIGN OR CONTEST, OR ANY PRIZE AWARDED, WILL BE RESOLVED INDIVIDUALLY, WITHOUT RESORT TO ANY FORM OF CLASS ACTION; (2) ANY AND ALL CLAIMS, JUDGMENTS AND AWARDS WILL BE LIMITED TO ACTUAL THIRD-PARTY, OUT-OF-POCKET COSTS INCURRED, (IF ANY), NOT TO EXCEED $100, BUT IN NO EVENT WILL ATTORNEYS’ FEES BE AWARDED OR RECOVERABLE; (3) UNDER NO CIRCUMSTANCES WILL ANY PARTICIPANT BE PERMITTED TO OBTAIN ANY AWARD FOR, AND PARTICIPANT HEREBY KNOWINGLY AND EXPRESSLY WAIVES ALL RIGHTS TO SEEK, PUNITIVE, INCIDENTAL, CONSEQUENTIAL OR SPECIAL DAMAGES, LOST PROFITS AND/OR ANY OTHER DAMAGES, OTHER THAN ACTUAL OUT-OF-POCKET EXPENSES NOT TO EXCEED $100, AND/OR ANY RIGHTS TO HAVE DAMAGES MULTIPLIED OR OTHERWISE INCREASED; AND (4) PARTICIPANT’S REMEDIES ARE LIMITED TO A CLAIM FOR MONEY DAMAGES (IF ANY) AND PARTICIPANT IRREVOCABLY WAIVES ANY RIGHT TO SEEK INJUNCTIVE OR EQUITABLE RELIEF. SOME JURISDICTIONS DO NOT ALLOW THE LIMITATIONS OR EXCLUSION OF LIABILITY FOR INCIDENTAL OR CONSEQUENTIAL DAMAGES, SO THE ABOVE MAY NOT APPLY TO YOU. To request a list of winners, send an email to info@groovylabinabox.com with the subject line “One Year Giveaway.” Requests must be sent by October 15, 2016. 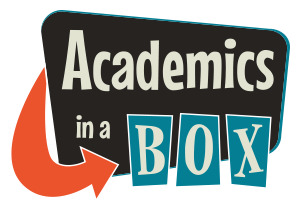 The Sponsor of the Giveaway is Academics in a Box Inc. The Giveaway is in no way sponsored, endorsed or administered by, or associated with Facebook. You understand that you are providing your information to Academics in a Box Inc and not to Facebook. The information you provide will only be used in the event you are selected as a Giveaway winner or if you have indicated that you would like to receive additional information from Academics in a Box Inc.